Mystery Friday Number Eight: Sorry Charlie! Mystery Friday Number Seven: The dog looks good. Mystery Friday Number Six: How Many Fridays? 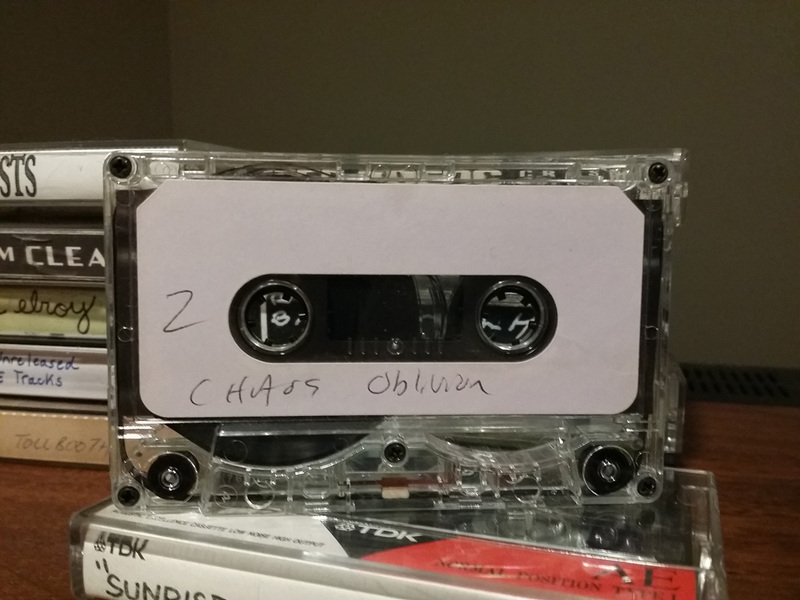 Welcome to another edition of Mystery Friday, when I reach into the Box Of Unknown, pull out an unmarked cassette, play it, and attempt to describe it. Some of these tapes haven’t been played in more than 1,500 Fridays; who knows what’s on ’em? Not me, pal. Not me. Tonight’s subject is a Sony HF 60 Type I Normal Bias cassette. As was customary, bits of Scotch™ tape cover each recording tab. I could record over this sucker right now…. Mystery Friday Number Five: What Time Is It? Welcome back to another episode of Mystery Friday, when I play a cassette tape from the box UNKNOWN and attempt to describe it. Tonight we have a TDK SA-X 90. Jewel box is in very good condition; just a scuff on the spine. The cassette itself is in mint condition, unmarked in any way. Sherlock couldn’t guess what’s on this tape. Let’s listen! Side A 1. “Hypnotized” seems to be the title. Prog-pop, like Collins-era Genesis or Foreigner or Rush…. Mystery Friday Number Three: I Know You Are, But What Am I? 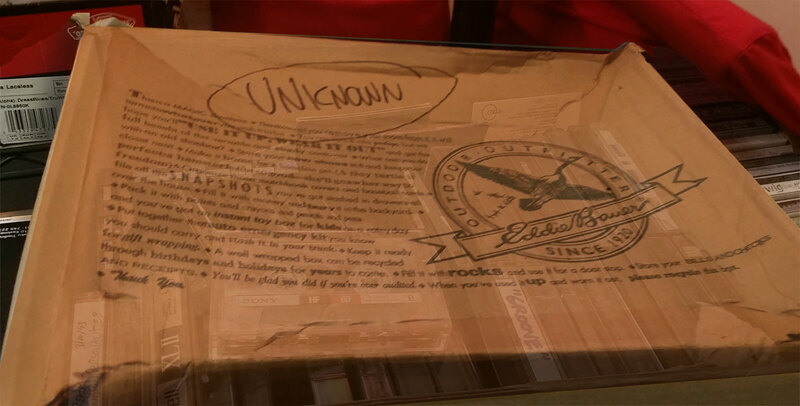 Today surfaced a cardboard Eddie Bauer boot box, marked “Unknown,” in which was about three dozen cassettes, half lacking jewel boxes, most if not all unmarked. The sort of thing any sane man would have tossed out years ago. But I can’t help wondering: What’s on these tapes? I’ll bet you’re wondering too. Welcome to Episode One of Mystery Friday! Every week I will grab a tape from the Unknown Box, play it for you, and attempt to describe it….